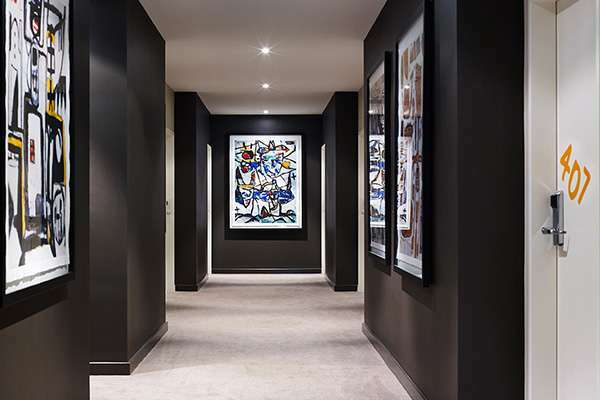 Each of our 96 Workspaces (rooms) at ur North Melbourne accommdation offer guests free WiFi, Art Series Signature beds, 47-inch TVs with 15 Foxtel channels and 3 movies, microwaves, bathrobes and slippers on request and minibars filled with local produce. 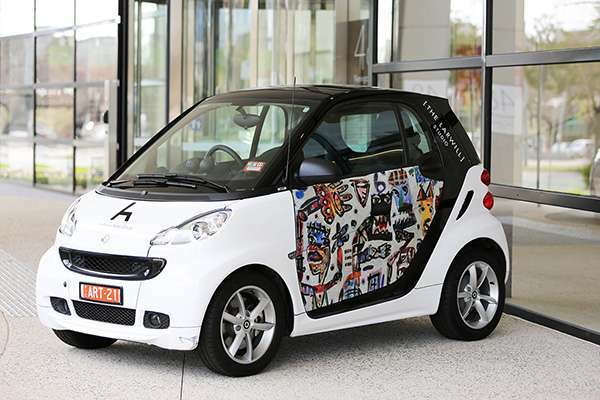 Our nifty Larwill-inspired Smart Cars are eco-friendly and easy to use. Hop in to explore further afield. 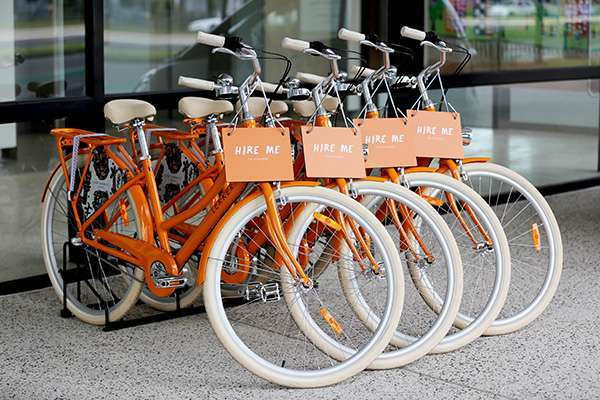 Explore Melbourne and around with our burnt orange Larwill Studio bicycles from Lekker. Learn more about David Larwill and his collection of works under our roof with a free tour from our in-house Art Advocate. 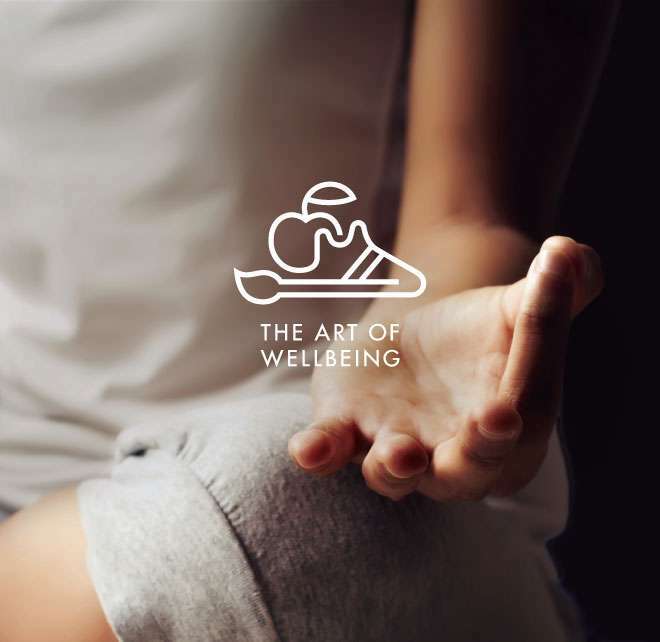 Art Series introduces The Art of Wellbeing to The Larwill Studio. 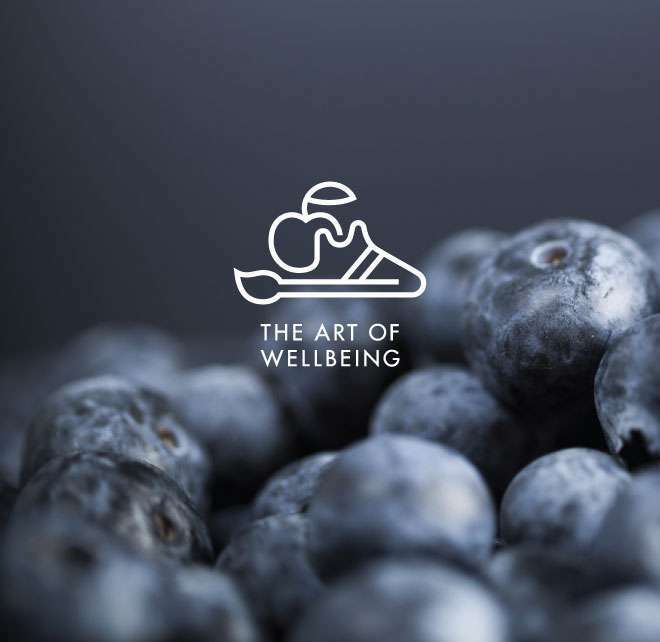 Hotel facilities designed to help you achieve optimum health and wellbeing – even while you travel. Undercover secure parking is available at the hotel for $25 per night however it is advised to call the hotel in advance to book a spot as this rate is subject to availability. Further car parking is available underneath the hotel and is charged at a per hour rate with a daily maximum of $34 based on a single exit. When arriving to the hotel please park on the driveway and check in with reception prior to parking your car in the car park. - Gym Access: Guests are able to use the onsite Sweat Gym as they wish and do classes for free. To grab a pass, please speak with reception to collect a pass or find out class times. Note, there is a maximum of 10 people per class so you will need to arrange in advance if you intend to take a class, please speak to reception to find out class types and times.